CounterAction is a UK roots reggae/dub label. It has come to be as a natural response to the pressures, the highs and lows of living in Babylon (in both the mental and the physical sense). It aims to provide a vehicle for positive, educational, spiritual creative musical expression contributed by singers and players principally from Leicester and the UK (but not only), particularly taking notice of artists that perhaps have not had enough or as much exposure as deserved. For any interest,or for bookings etc please feel free to contact us directly. In Leicester we are responsible for UNITED NATIONS OF DUB, a UK Dub ‘n’ Roots radio show and an occasional clubnight. Give thanx for the local support and guidance. Synopsis: 10″ Vinyl. First label release. Releasing strictly on vinyl for the time being, our first 10″ Count001 ALPHA is out as of February ’07. 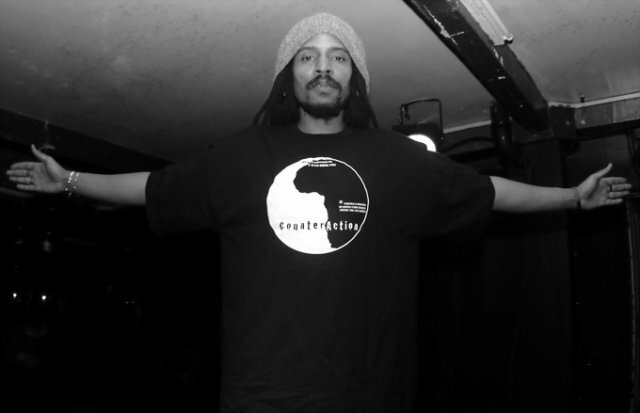 It has been recorded over the summer of 2006 at CounterAction HQ Studio in Leicester UK, and features Richie Roots (Ghost, Vibronics, Scoops Records) playing live bass for the very first time on record together with I-mitri (AMP Outernational, Dub Providers/Nuff Powa. Vibronics Dub Family). Electronic artist Preston is providing live guitars and the lyrics have been adapted from spoken word by Merlyn Fifield. Synopsis: 10″ Vinyl. Releasing strictly on vinyl for the time being, our second 10″ Count002 BHTA(BETA) is out as of mid July ’07. It has been recorded at the new CounterAction HQ2 Studio now in Exhall a little outside Leicester UK. It features our classic CounterAction Warriors lineup of Richi Roots (Ghost, Scoops Records) playing live bass together with Preston on live guitars and I-mitri (AMP Outernational, Dub Providers/Nuff Powa. Vibronics Dub Family) on drums, synths and backing vocals. We are especially happy to be introducing for the first time on record Calvin Jeffrey on lead voice and lyrics. Jah Mystic: Stand Up and Praise H.I.M.